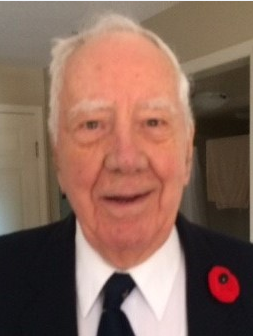 Frank Wright passed away peacefully at the proud age of 95 on Sunday, January 20, 2019 at the Royal Jubilee Hospital in Victoria with his son, David by his side. Frank was predeceased by his loving wife Sheila Margaret and son John. He will be greatly missed and held in the memories of those family members he leaves to grieve including his son, David (RoseMarie), his grandchildren, Reagan (Jon) and Joel (Dawn) and his great grandchildren, Isabelle, Nicholas, Ryker and Faith. He also leaves sister-in-law Iris, niece Leslie and family near London, England and Jean, Susan, Janet, John and their families near Manchester and Birmingham, England. Born and raised in Altrincham, Cheshire, England, after primary school, Frank apprenticed as a Machinist and Tool & Die Maker at fourteen years of age which was the custom in those years. Frank enlisted and proudly served as a pilot in the Royal Navy- Fleet Air Arm during the Second World War where he flew the immortal Spitfire and its brother the Seafire when posted to Aircraft Carrier HMS Hunter. Most of his war time action was spent in the Far East helping wrestle Singapore, Hong Kong and other British colonies from Japanese occupation. Early in life Frank excelled in soccer, illustrated by a few remaining battle scars. He and Sheila enjoyed playing lawn tennis and the annual vacation was spent at the English seaside. In 1957 Frank, wife Sheila and his young sons David and John immigrated to Canada where the family lived in and around Toronto, Edmonton, Nanaimo and Victoria. He was primarily employed selling and servicing machining equipment to Canadian industry. Vacations in Canada were spent camping throughout eastern Canada and the New England states. Life was busy with his sons involved in cubs, scouts, hockey and the church where Frank sang in the choir. 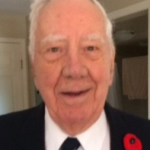 Frank was healthy and active throughout his life and well into his nineties spending the last 20 years in the Victoria area following the passing of his beloved wife, Sheila. He walked regularly, golfed into his nineties and drove until he was ninety- three. He even bought a new car when he was ninety-two, talk about optimism! At 89 he piloted a single engine for 90 minutes in North- East England. When asked how he could fly again after seventy years he simply said the Spitfire- Mark IV had 2500 BHP while this plane only had 175 BHP! In case you were wondering a flight instructor executed the take off and landing. Although Frank could not read music he loved to sing. He sang with the Arion Men’s Choir in Victoria for over 20 years and continued to sing at the Alexander Mackie Retirement Home where he was the only man singing in their choir with the ladies. Frank was a proud Canadian Legion member and walked from the retirement home to the Langford cenotaph last Remembrance Day with his son, David. Frank befriended everyone he met, never spoke an ill word and would help anyone in need. He always had a twinkle in his eye and aptly showed his English humour. Even during his last days at the hospital, he had the doctors and nurses laughing as he joked and teased them. He won the hearts of all who met him. The world was a better place with Frank in it and we thank you for being part of his world. There will be a celebration of life held in England where he will be laid with his wife, Sheila.